A Christmas Carol, The Chimes, and The Cricket on the Hearth, by Charles Dickens, is part of the Barnes & Noble Classics series, which offers quality editions at affordable prices to the student and the general reader, including new scholarship, thoughtful design, and pages of carefully crafted extras. Here are some of the remarkable features of Barnes & Noble Classics:All editions are beautifully designed and are printed to superior specifications; some include illustrations of historical interest. Barnes & Noble Classics pulls together a constellation of influencesbiographical, historical, and literaryto enrich each reader's understanding of these enduring works. Generations of readers have been enchanted by Dickens’s A Christmas Carolthe most cheerful ghost story ever written, and the unforgettable tale of Ebenezer Scrooge’s moral regeneration. Written in just a few weeks, A Christmas Carol famously recounts the plight of Bob Cratchit, whose family finds joy even in poverty, and the transformation of his miserly boss Scrooge as he is visited by the ghosts of Christmas past, present, and future. From Scrooge’s Bah!” and Humbug!” to Tiny Tim’s God bless us every one!” A Christmas Carol shines with warmth, decency, kindness, humility, and the value of the holidays. But beneath its sentimental surface, A Christmas Carol offers another of Dickens’s sharply critical portraits of a brutal society, and an inspiring celebration of the possibility of spiritual, psychological, and social change. 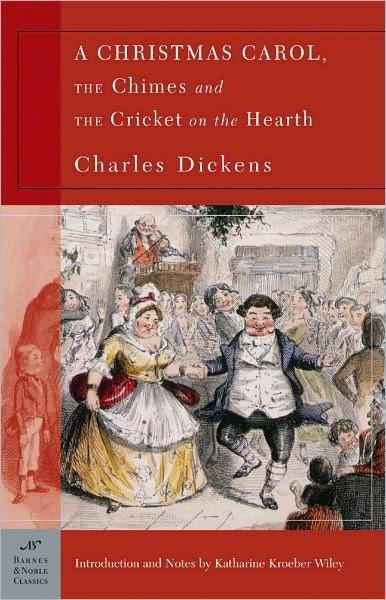 This new volume collects Dickens’s three most renowned Christmas Books,” including The Chimes, a New Year’s tale, and The Cricket on the Hearth, whose eponymous creature remains silent during sorrow and chirps amid happiness. Katharine Kroeber Wiley, the daughter of a scholar and a sculptor, has a degree in English Literature from Occidental College. Her work has appeared in Boundary Two and the recent book, Lore of the Dolphin. She is currently working on a book on Victorian Christmas writings.